When a new emissions test was introduced in Connecticut, it came with challenges such as long lines and lengthy wait periods for motorists. Our research showed the public's skepticism and anger toward the program, but it also revealed a major misconception about the emission testing centers' days and hours of operation – most didn't know they were open on Mondays. We developed a two-phase strategy. First, an integrated marketing campaign, themed with the hit song “Monday, Monday,” corrected the misperceptions. 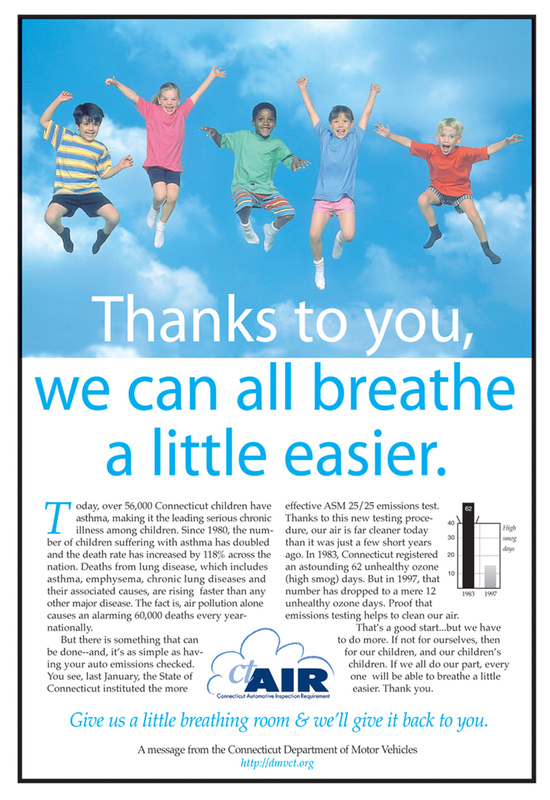 Then, we addressed skepticism by repositioning the program as part of a quest for a cleaner environment – CT AIR. The campaigns were a major win as average Monday volume at emissions centers increased by almost 25% right away. 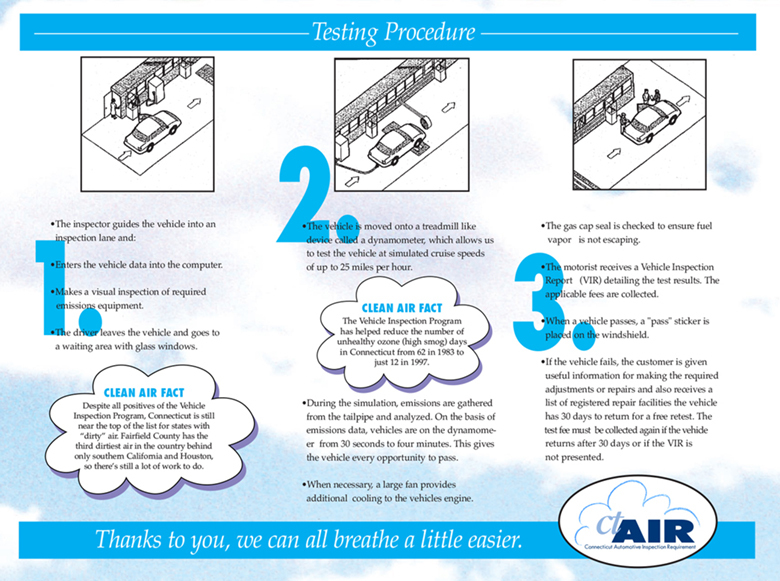 Follow-up research, consumer feedback tools, revealed public attitudes were shifting and many motorists didn't mind participating in the program if they felt they were helping to keep the air cleaner. Copyright 2017 Octagon Strategy Group LLC.